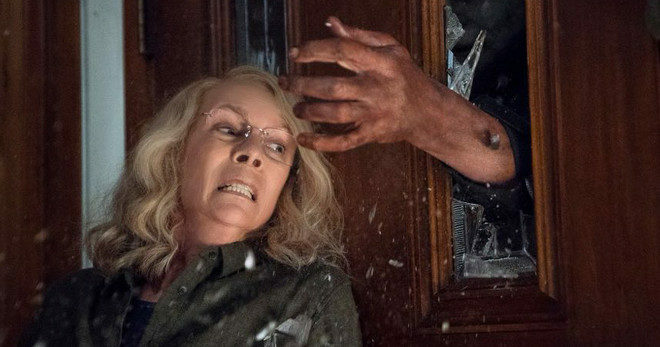 Halloween seeks to earn brownie points with fans and newcomers alike by ignoring entries two through ten, and by taking up the story forty years after the events of the first movie. In this retconned version, Michael Myers was captured after being shot by Dr Sam Loomis, and has spent the intervening years in a state-run sanatarium. Meanwhile, the lone survivor of The Night He Came Home, Laurie Strode (Curtis), has had a daughter, Karen (Greer), who in turn has had her own daughter, Allyson (Matichak). 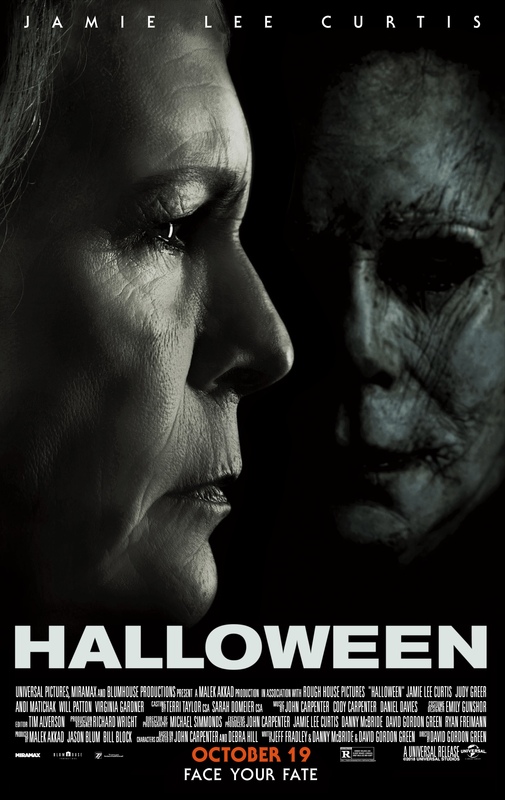 Laurie and Karen are estranged because Laurie is beyond paranoid in her belief that Michael will return to Haddonfield one day, and come for her. Allyson is less censorious, and keeps trying to get her mother and grandmother to reconcile. Inevitably, Michael escapes during a bus transfer to another facility, and as predicted, heads for Haddonfield. Soon he’s butchering people left, right and through the throat in a wilful display of murderous impunity. And just as inevitably, he finds his way to Laurie’s home and the showdown she’s been waiting and planning for for forty years. 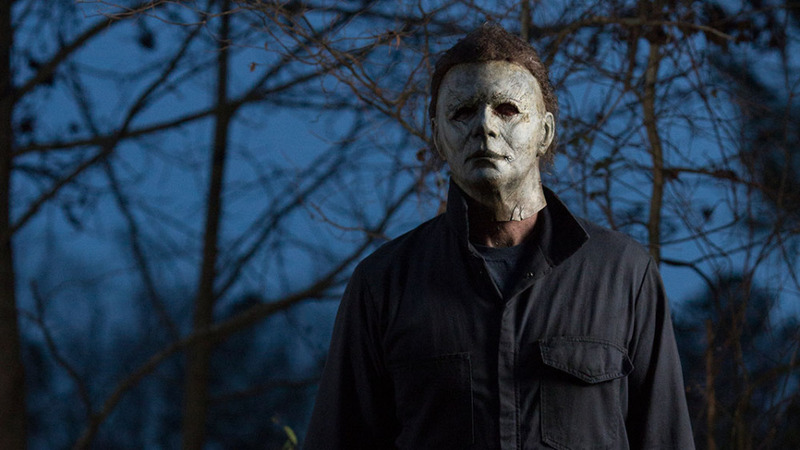 Rating: 4/10 – with its muddled, and misguided attempts at reinvigorating the series, Halloween can’t even get the title right (shouldn’t there be a II in there somewhere? ); Curtis is the movie’s MVP, but that’s not saying much when the script develops her character at the expense of all the others, and where the notion of creating anything remotely resembling tension seems to have been abandoned right at the start of shooting.